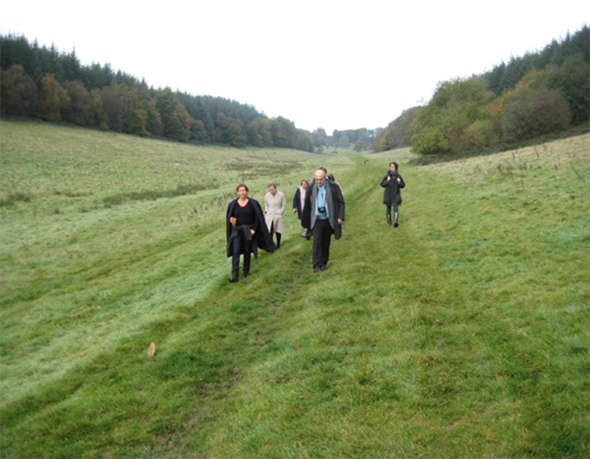 The Routes project arranged an ambulatory seminar in the Stourhead gardens in Wiltshire, UK. Finola O’Kane from UCD Dublin, Stephen Daniels from the University of Nottingham, Katja Grillner from KTH Stockholm, and Antoine Picon from GSD Harvard joined the Routes team for inspiring discussions on the relationship between routes, landscapes, technology and architecture in the 18th century garden. Originally posted Oct 18, 2012. Latest revision Aug 31, 2017.